Romanian SMEs can directly benefit from the Sectoral Operational Programme ‘Increase of Economic Competitiveness’ (SOP IEC) and some parts of the Regional Operational Programme (ROP) in the period 2007 2013. Research commissioned by the Directorate General for Regional Policy of the European Commission made a strategic evaluation of SMEs’ experience with these support programmes and their needs for support in general. This paper is the summary of the final report of the project carried out in the first half of 2010. 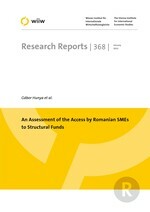 In the context of the research underlying this paper, a standardized survey was implemented as an instrument for collecting primary data on the situation, the demands of and the development barriers to Romanian SMEs. The results of the survey were verified in standardized interviews and focus groups with consultants and SME administrators. The results reflect first-hand information on the problems of SMEs with the implementation of EU funds. The main findings of the project reveal that Romanian SMEs are at a rudimentary stage of skills, organization and market knowledge if compared with similar economic units in more advanced EU member states. Their development aims are rather short-term and not very complex. They lack the knowledge, expertise and staff to participate in complex tenders and in application processes. Learning by doing is, however, increasing their capacity to access external, including EU, funding. Gaps were identified between the development needs of SMEs and the design of the support programmes. The needs of SMEs to increase their competitiveness cover a whole range of areas with very diverse objectives. Weighing the identified needs of SMEs against the key areas of intervention and indicative operations of the EU support programmes, one can conclude that most needs of SMEs are covered by the two current operational programmes in one way or the other. However, the way the support package was designed and structured is deficient in supporting the development of SMEs. SMEs need more simple and transparent mechanisms which they can understand and cope with. In addition, they need the support of competent consultants.